Point Bridge Realty Advisors, LLC is a commercial real estate service company formed in 2011 by Peter J. Licastro. Based in Pittsburgh, the firm specializes in office, light industrial, and investment properties, as well as strategic consulting services to both for-profit and non-profit organizations. Point Bridge helps clients develop and execute sound, cost-effective real estate solutions. 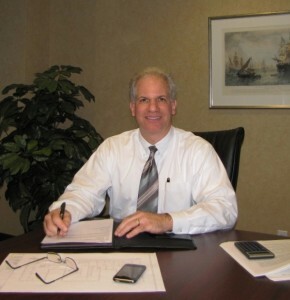 Mr. Licastro has over 20 years of experience in commercial real estate, finance, taxation and as a CPA. He has provided real estate services to a diverse client base, from start-ups to the Fortune 500. 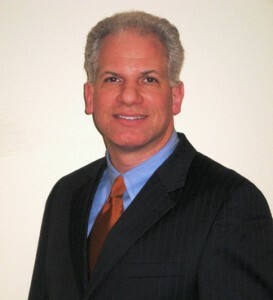 As president of Point Bridge, Mr. Licastro is a licensed real estate broker in the Commonwealth of Pennsylvania. He is a Certified Public Accountant, but as a full-time real estate professional does not actively practice. Prior to forming Point Bridge, Mr. Licastro was senior manager – brokerage and leasing in the Pittsburgh office of Cushman & Wakefield | Grant Street Associates (2008 to 2011). He worked at Grubb & Ellis Company (Newmark Grubb Knight Frank) for over 16 years (1992 to 2008). Mr. Licastro held corporate and Pittsburgh district-level positions at Grubb & Ellis, including national tax director for the parent company, research director for the Pittsburgh office and vice president in the brokerage services group, where he was recognized as a top producer. After graduating from Villanova University in 1989, Mr. Licastro joined the Pittsburgh office of Coopers & Lybrand (PriceWaterhouseCoopers) as an auditor. He joined the tax services group and became a Certified Public Accountant in 1991. 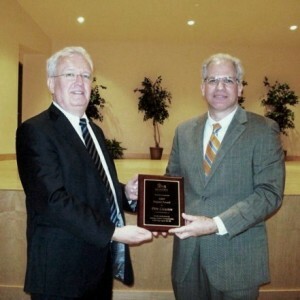 Bridgeway Capital recognized Mr. Licastro at their annual stakeholders meeting with the “2009 Impact Award” for his work in counseling nonprofit organizations on real estate matters. He is active in the Pittsburgh chapter of the NAIOP Commercial Real Estate Development Association and a member of their awards committee since 2010. Mr. Licastro has been an avid collector car enthusiast, particularly the Chevrolet Corvette, for over 25 years. He has published books and articles on the Corvette, was a founding member of the National Corvette Museum and served as a judge on the National Corvette Certification Board (1993-2005) at the prestigious Bloomington Gold Corvette show. 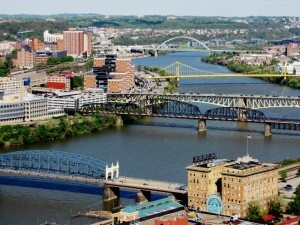 It has been said that Pittsburgh has more bridges than any city in the world. They are a vital, integral part of the regional landscape. Bridges are permanent and recognizable, inspiring confidence and earning trust. Point Bridge Realty Advisors connects buyers and sellers; landlords and tenants – like a bridge spanning a deep valley, or the mighty Ohio River. We eliminate barriers in real estate transactions and provide our clients with a strong foundation for growth and economic prosperity. Really enjoyed working with you and thought you were a top-notch broker.